Romantic. Ethereal. Feminine. All of those adjectives could describe the Spring 2017 collection by Joanna August… But even those words aren’t enough! 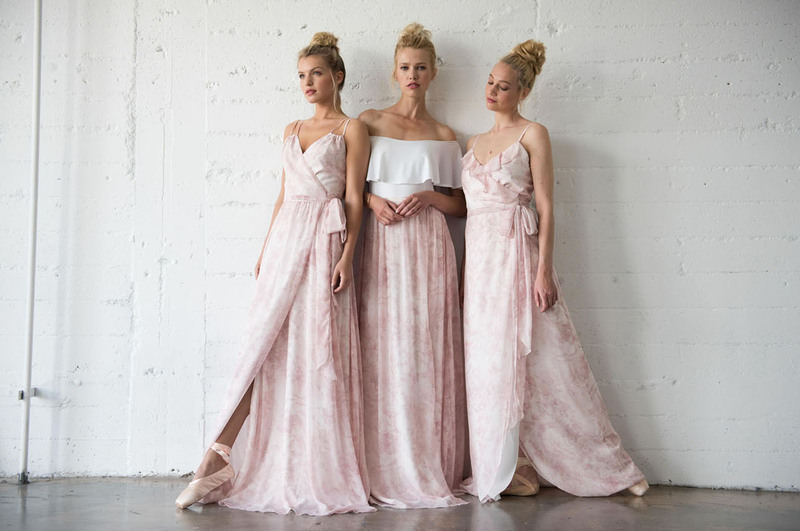 This collection is full of movement, the fabric drapes and billows, the ever-popular neutral blush hues make a great complement to just about every palette. 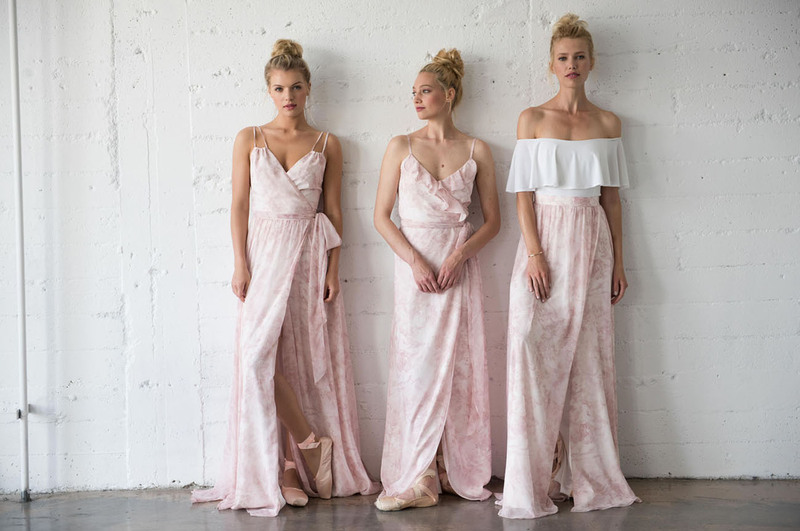 The romantic ballet-themed shoot showcases the classic and traditional styles of gowns for the bridesmaids, with a slight bohemian touch! Ready to fall in love with the latest styles? Be prepared to fawn over the photos by Tyler Parker! The Alex Bodysuit is the first of its kind – and the missing component in flattering bridesmaids tops that girls will have use for long after the ceremony is over. Alex can be worn off the shoulder or on top of the shoulder, and is a thick, stretchy crepe that holds everything in without stretching completely out! 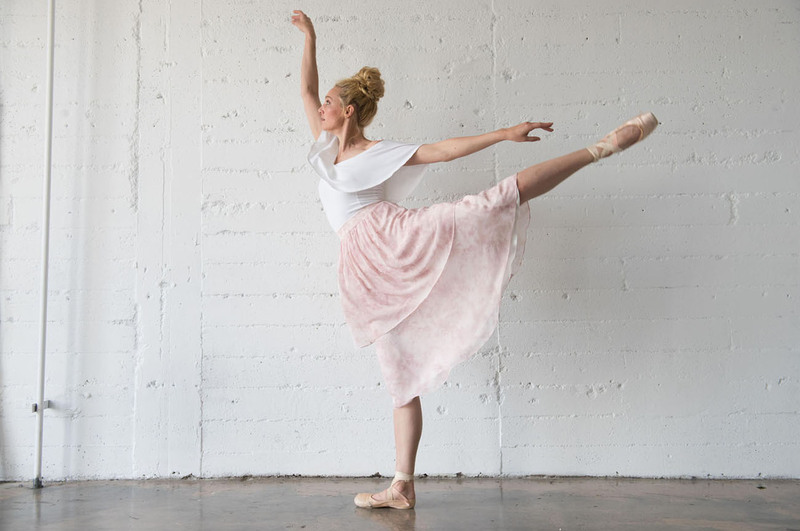 How pretty is the mid-length tiered Thea skirt? This collection features the Alessandra – a double skinny-strap pleated wrap dress which is sure to flatter all your ‘maids! How romantic is that pattern?! It’s the first one added to the Joanna August line! 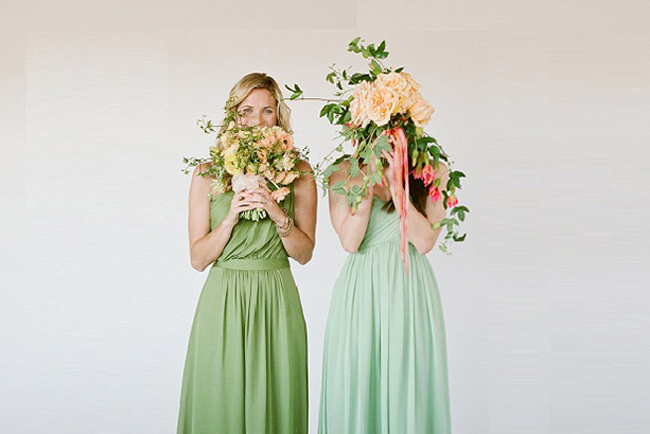 We absolutely love these “Pretty in Pink” dresses! So, so, so much pretty! This Couple Said I Do in the Middle of Their Hometown Street!